Exclusive: A combination of ignorance and rashness is making President Trump a particularly dangerous leader as he crashes ahead with a possible preemptive war on North Korea, writes Jonathan Marshall. In an interview with Sean Hannity on Oct. 11, Trump boasted that America’s ballistic missile interceptors offer, for now at least, a reliable defense against a small-scale nuclear missile launch by North Korea. “We have missiles that can knock out a missile in the air 97 percent of the time, and if you send two of them, it’s going to get knocked down,” Trump asserted. In awarding Trump’s claim a maximum false rating of “Four Pinocchios,” Washington Post fact checker Glenn Kessler called the President “totally off base,” but conceded that Trump hadn’t made up the claim out of whole cloth. The GMD currently consists of 36 interceptor missiles based at Fort Greely, Alaska, and Vandenberg Air Force Base in California. With more on the drawing board, they represent a huge cash cow to military contractors like Boeing and Raytheon, but they’ve never been shown to work reliably. What are the consequences of President Trump believing unfounded Pentagon claims about U.S. missile defense capabilities? He might well be tempted to launch a preemptive attack on North Korea — the much discussed “military option” — confident that the U.S. homeland will be protected against a retaliatory strike. He might further feel tempted to launch such an attack sooner rather than later, before North Korea can build up its fleet of nuclear missiles to overwhelm the GMD’s alleged capabilities. 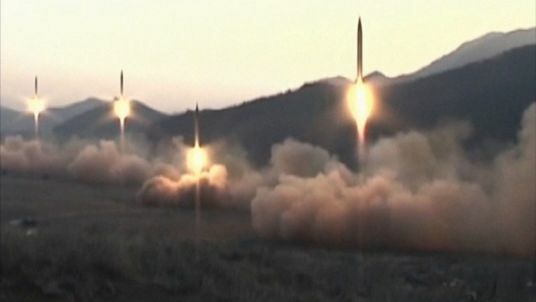 As I have previously discussed, influential Trump advisers like Sen. Lindsey Graham have been urging the President for months to unleash an all-out attack before North Korea can develop its nuclear missile capabilities. Many of Trump’s other close advisers appear to agree with Graham’s premise, rather than acknowledging that America’s vast nuclear arsenal is more than sufficient to deter a North Korean attack. National Security Adviser H. R. McMaster declared this summer that “we can no longer afford to procrastinate” while North Korea develops its nuclear forces, arguing that “classic deterrence theory” won’t work with such a brutal government. Mattis should also point out that a preemptive war would be as unnecessary as it would be destructive. 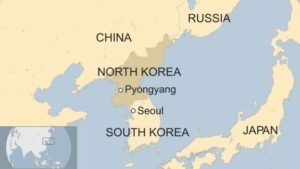 In senior leadership meetings, North Korea’s Kim Jong Un recently described his small but growing nuclear arsenal not as an offensive force but as a “powerful deterrent firmly safeguarding the peace and security in the Korean peninsula and Northeast Asia” against the “protracted nuclear threats” from Washington. So even if Trump buys the Pentagon’s sale pitch about missile defense capabilities, he has no reason to launch a catastrophic war to block North Korea’s nuclear missile program. But for all our sake, someone urgently needs to let Trump know that he can’t count on the U.S. homeland remaining unscathed if he does choose to start a war with a nuclear-armed adversary. International politics is not like a real estate gambling. Gambling often lead to bankrubcy. Nuclear War Gambling will lead to the mutual death and destruction. While the Saudis promissed to buy 100,000$ worth of weapons from the US, the UAE actually bought weapons to that amount from North Korea. Must be dealt with – how about sanctions? Let’s begin by separating realities from the personalities. The North Korean crisis has been put on a back burner for some time now by both Washington and the Pentagon, -for decades. The real issue was and remains, “breakout”. Will the world tolerate a sudden change in a sovereign nations policy to move towards making nuclear weaponry from the desired, peacetime commercial energy status? Believe me when I say that Iran will be watching this Korean crisis and what becomes of it very closely! For the “Bush-Clinton” beltway crowd, it’s about garnering support for UN sanctions and directing new policy changes at the Security Council. For the Western Occident military, the Un problem/dilemma, increases the rate of change to the whole concept of what is meant by the battlefield. There are two distinct paradigms here within our military, the first and most familiar to us is “Blitzkrieg”, get in there, knock em dead with sudden and overwhelming force and then get out, or the emerging high tech battleground of Network Centric Warfare (NCW) so aptly outlined by that military expert, Rick Brennan in his lecture at Pepperdine University. Visit https://www.youtube.com/watch?v=xj3d5cRnurw for details or visit a discussion by Vice Admiral Arthur K. Cebrowski @ http://www.kinection.com/ncoic/ncw_origin_future.pdf. These referenced authorities demonstrate, NCW combines the many complex interactions of various weapons systems that are new arrivals to the battlefield, how they interact and compete for budgetary funding, new problems of information overload to officers on the front line and so on. In effect a whole new approach to “getting the job done” will be examined and reviewed during this confrontation with Un. It will more or less finalize long term (western Occident) policy making and overt action(S) on two fronts; nuclear proliferation and whether or not those traditional Blitzkrieg generals at the Pentagon can dove tail or combine their strategies, field commanders, communication systems, singular objective stance(s) with the new and high tech challenge that emerges from NCW. This of course requires a good deal of trust, something our commando types get very nervous about. Over thirty years ago, Prez Reagan opened a door to the concept of missile defense and true, only one ABM base opened, closing the doors three days later…And again true, the conclusions were that it was not plausible for a “bullet to hit a bullet” BUT sufficient technical know-how did advance into systems like THAAD. This is just a single slice of the ever evolving techno-pie of: CBW, SADM’s, rail guns, High velocity Tungsten missiles, satellite Intel gathering and a host of other weaponry that our taxes funneled, with dollar huge sums into and for the sake of “stability” (not necessarily using military force). Stability is a VERY important word, CONSORTIUMNEWS readers will find, emphasized in the aforementioned NCW documentation. Be it a Bush, Clinton, Obama or Trump personage in the WH, the actual policy momentum going forward in time is not an individual or group but rather technocracy itself, real time scientific breakthroughs that impact military strength, these unpredictable variables actually foment a status of war or peace . This momentum has a personality all of it’s own, is ever evolving, asserts a reality upon us, and it’s vital to keep in mind the old cliche’: The only thing to count on is change..
Not that I trust the Congress, but that body had better pass a veto-proof bill that precludes the president from declaring war unilaterally or de-facto starting a war without congressional approval. I know that is already spelled out in the constitution, but that document seems to have been forgotten for over 70 years now, at any rate, the directive is totally ignored. The consequences for violating this directive should be immediate dismissal from office. That should go into the needed legislation. With the very real possibility that Trump could order a nuclear attack on any of three targets (North Korea, Iran, and Russia) at any time and on a whim, I’d say the man is making himself a serious candidate for the first implementation of the 25th amendment. Better he wins that prize than all the world gets a Darwin Award. His escalating rhetoric against NK and Iran, and now his actions against Iran have changed my opinion on that matter. The situation has become a real threat rather than a mere political matter. Thanks Realist for waking up to the very real danger Trump represents to all of us. Our understandable focus on the deep state should not blind us to the particular danger a person like Trump constitutes in occupying the powerful position that he holds. I do not pretend that removing Trump from office will solve our ongoing deep problems, but it may save us the consequences of a very dangerous nuclear war. When he is gone, we can stop holding our collective breath wondering is he is going to destroy the world, and get on with trying to dismantle the deep state, and other necessary steps to a better and more peaceful world. Jeez, I’m sure glad all the geniuses on this site advocated for Trump, as we have the “workers paradise” evident. Are you people blind? More than seventy years of sanctions and hostile US policy and lengthy joint military exercises have trained North Korea for its defense even with its nuclear deterrence. It remind of the story of Goliath and David that the luck was not on the side of Goliath as all it needed was one sling shot on the head of the Giant. What if Trump’s preemptive first strike includes EMP ? The author forgot the biggest lie of all, the one that got us into this mess. That is the whopper, stated by Hillary Clinton and repeated ad nauseum by Obama and the treasonous intel agencies, that says that the DNC computers were hacked by Russia. This article is a muddle. So, Trump the ‘serial liar’, in ‘a combination of ignorance and rashness’ is taking the military industrial complex at its word and assuming he has the capabilities and arsenal they advertise. Whereas all his sophisticated predecessors, not nearly as mendacious as Trump, kicked the can down the road because they knew the advertised capabilities were bs and they didn’t want to rock the boat. 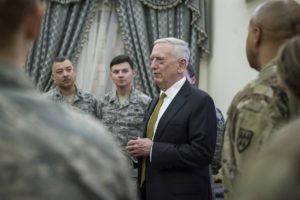 Furthermore, Mattis has “a duty to explain to Trump that Pentagon claims for that system are hype aimed at winning more appropriations from Congress.” More lying NOT emanating from Trump. How is Trump the first-order liar here? If anything his sin is naivete. Finally no one was a greater procuring cause for THAAD onto the peninsula than Kim with his James Bond binoculars. If he’s not picking up a commission check from LM, then he should. This is MacKinder mischief. No one wants a crisis-plagued peninsula right beneath the rumps of China and Russia more than the US. Kim is Goldfinger. He even has a nuclear mountain hideaway. Unfamiliarity with the facts is something all of us are guilty of at one time or other. The reason Trump draws such a searchlight on himself is that he has turned this into “serial” “willful” “ignorance”. The man is an arrogant ignoramus almost beyond belief, and is getting the reputation of not recognizing either “facts” or “reality” even if either one of them bit him on the *ss. There is an echo here from 1939. Just before the war, Hitler visited the Luftwaffe research centre at Rechlin. He was shown all the new projects, jet aircraft, rockets and the like, and came away full of confidence with the impression that these advanced weapons would soon be available for actual use. He later said that the expectations created in his mind were a factor in his decision to go to war. Leaders are often told what they want to hear. Your comment is a bit of a muddle. Goldfinger? Get real……. Mattis has a duty to explain to Trump that Pentagon claims for that system are hype aimed at winning more appropriations from Congress, not facts. Yes, he does. And whoever has been telling Trump that our ABM systems are wonderful ought to be fired, pronto. For all we know Trump may think he is speaking the truth about the ABM systems. There is no reason at all to believe Kim is telling the truth here. And even if he is, he is living in la-la land. The US has been working for 50 years to devise a possible “first strike” option with the USSR/Russia, and more recently with China. North Korea wouldn’t stand a chance if any US leader decided to attack the country with every type of weapon in our arsenal. North Korea has invested a lot in getting its nuclear weapons, and there are no circumstances I can imagine where they would give them up. I do believe that a settlement ought to “cap” their inventory, and their production facilities dismantled. Call it an Iran Deal on steroids. I’m sure the US would honour that deal, just as it honoured the Iran deal, with or without steroids. The road ahead to World War III, started with paving stones placed before the end of World War II with European Imperialist powers, France, the United Kingdom and the Netherlands attempts to reclaim lost colonies and spheres of influence with those that direct the United States might seeking more countries subordinate to their exploitation. In Korea those that resisted full participation in Imperial japan’s Asian Co-prosperity collective came to power in the North, thanks to a late U.S.S.R.entry into World War II’s Asian theater;and occupation of part of Korea including its atomic bomb development plant. This occupation by Japan and resistance to being a Japanese colony is still alive and well in the Northern part of Korea with Imperial Japanese Korean puppets and their descendants having replaced Imperial Japanese occupation as their supporters, with American, but still agents in charge of the South. During the “Korean conflict” the U.S. Air Force bombed all of Korea reducing urban areas to rubble while killing millions and wounding more. Whether or not an American encore with “bombs bursting in air, rockets red glare” happens again soon, can be discussed further. North Korea intelligence learned of U.S. intent to murder their head of state with an American sneak attack on the North, fast forwarding development of rockets with greater reach as an insurance bet in favor of Korea as a sovereign independent nation state. The Korean government attempted a peace effort during President George W. Bush’s time as POTUS and was shown a cold shoulder with previous agreements violated by the United States. Since then the lack of a peace treat between Korea and the United States has carried forward with U.S. directed war on Korea without fielding soldiers in an assault on Korea or bombs being dropped or rockets discharged targeting Korea. “Forbes” magazine recently suggested the Nazi Third Reich approach involving counterfeiting Korean currency as Nazi Germany did the U.K.’s (It was so good, indistinguishable for real U.K. notes, that that series had to be recalled as it lingered in circulation well past Germany’s surrender.) with plenty to go around for holders. The US has engaged in every form of villainy known to man, why leave out forgery? Left unmentioned is China’s pledge to support NK should Trump launch a war. In that scenario Russia may feel compelled to launch Armageddon too alongside China. Amazing how Lindsey Graham can foresee “terrible consequences” for China, South Korea, and Japan if the U.S. destroys North Korea (and finds this acceptable), yet thinks it would just end there with America in some sort of “safe” place. Yes. That Graham is a real piece of work. He and Trump and too many others are so very ready to launch a sneak attack (“pe-emptive war” is only when the US does it, right?) on a country across the globe from us simply for defying Uncle Sam, and wipe them out, and let the consequences fall on others. Fight to the last Korean. Meanwhile, Americans can go blithely about their shopping and tweeting and fast food gorging and TV watching without a care in the world or anything to trouble their conscience? Yeah, that seems just. Exactly. War mongers like Graham have no conscience and very little brains. And the American public is too trivia oriented to be much use for anything real or serious. Any person with a femptogram of morals and any compassion for their fellow human beings would clearly reject the validity of using nuclear weapons, which would kill millions of victims, to win a political, religious, cultural or economic conflict. It might only be acceptable to thwart the annihilation of one’s own society via a similar first strike. For Lindsey Graham to suggest exterminating the North Korean nation, and taking with it good parts of South Korea and Japan as collateral damage, to “rid ourselves” of a foreign leader he loathes is simply psychotic, depraved and deeply immoral. The man needs to be locked up for even suggesting the idea. I don’t give a damn about the elegance, genius or practicality of his proposed solution, mass murder is the worst act a human being can commit, especially when many of the deaths would be slow and agonizing. Knowing Lindsey, the little bugger probably wouldn’t even give his victims a Tylenol. Neither country will allow the US to remove their buffer on the peninsula. Trump’s oblivious but his generals must know the consequences. Instead of daydreaming that this disturbed and clueless president knows what he is doing, we need to do everything possible to get his fingers away from those nuclear launch buttons. When I hear people such as Trump who talk war trash, and consider how they have lived in their own bubble for all of their live, I wonder if they every had heard of the Battle of First Manasses. Seriously do celebrity types have any idea about anything so devastating as war. I sure there are a few who know all to well the terrible consequences of war, but when I hear such stooges as Trump talk tough, it just makes me wonder that’s all. I would say that Trump is working on 2 fronts concerning N Korea. One, he is using one of Sun Tzu’s methods, which states that if your opponent is of choleric temper, irritate him, as it throws them off. The other method he is using is the tried and true, “good cop bad cop” approach. Tillerson is working to find a diplomatic way to end this crisis including maintaining open back channels to N Korea, while Trump is claiming that he is wasting his time. The “crisis” is Trump running his mouth. The solution is to shut it, stand down and remain vigilant. Several countries have way more nukes than the Norks. Why don’t we pre-emptively blast them all to hell? Now, why should we pre-emptively blast North Korea all to hell? Is it only American lives that should enter into the question? Is the standard, kill whoever you can, as long as no Americans are harmed in the process. Says who? I particularly ask this of people who profess a belief in a deity. 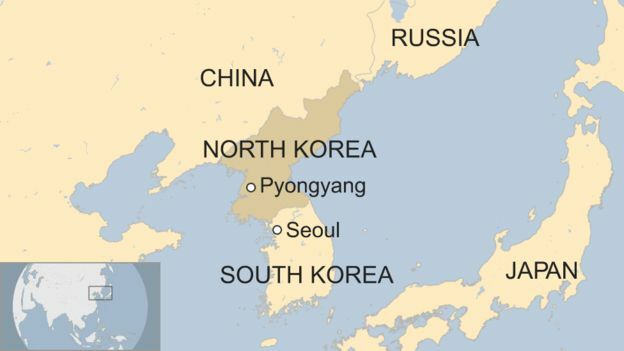 Would Jesus nuke the Norks for defying us? For the record, lotsa Christians in South Korea. Christmas is a big holiday there. Tom, you seem to buy into the “crazy like a fox” theory of Trump’s erratic and idiotic behavior. Somehow this real estate con man has become in some folk’s minds a master at the art of international policy. When he unleashes forces no one can predict or control, will you still see him as a hidden genius? And when he doesn’t, will you finally cease your inane anti trump whine? Name a POTUS that hasn’t rattled sabers with NK? As with any other POTUS isn’t really in charge. If I go back and view comments from Barry’s reign will your comments be the same inane whine only inserting Obama for Trump? Mike K has not been in the reflexive anti-Trump camp. Only recently have more CN commenters moved away from defending Trump’s possible better intentions, due to his apparent inconsistencies and lack of strategy. But the picture is little more clear than in the first few months of this admin. ‘I would say that Trump is working on 2 fronts concerning N Korea. One, he is using one of Sun Tzu’s methods, which states that if your opponent is of choleric temper, irritate him, as it throws them off.” If anybody is using Sun Tzu, it would be Kim, not Trump. Trump is the one of choleric temper, easily irritated and thrown off. Moreover I am certain Trump would think Sun Tzu is the name of some chicken dish concoction on a Chinese take-out menu. Are you sure it’s not Trump but KJU who’s using Sun Tzu’s tactic of irritating one of choleric temper? KJU almost certainly has read The Art of War, as have some US generals (one mentioned recently the Death Ground, where Trump’s outbursts might be pushing KJU). Trump is easy to provoke but he has trouble reading Sunday comic strips, let alone military strategy.. Very useful information. The US built its first major ICBM defense system in N Dakota with 100 missiles at several locations, during the SALT II talks, no doubt using hype to gain negotiating leverage, and then decommissioned the whole thing a year later under the agreement. So it is odd that the GMD system was not used for SALT negotiations and does not work very well. 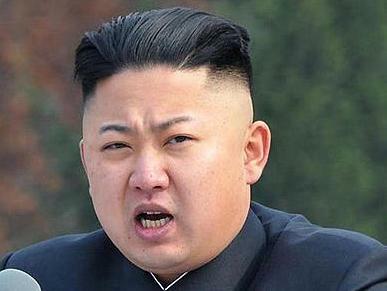 Clearly NK wants only security, and will need generations without threats to loosen up. The belligerence of the US oligarchy ensures that we have war profits rather than peace. Our unregulated economic concentrations are the cause of tyranny, but after killing millions, they are not seen by citizens as responsible. Thus the oligarchy mass media create acquiescence to a murderous foreign policy, and have hijacked our democracy for their personal gain. Perhaps like the Roman Empire, US democracy cannot be restored sooner than by its conquest by external powers it has tyrannized. Hopefully that will be economic conquest this time, but US nuclear threats suggest otherwise. So it is odd that the GMD system was not used for SALT negotiations and does not work very well. Unless I’ve been misinformed both the Sprint and Spartan missiles of the system were nuclear tipped. The little Sprint would have dusted the local region with fallout from its weapon, and the Spartan would have caused multiple high altitude 5 megaton bursts. The Electro Magnetic Pulse (EMP) from these would have been a disaster in their own right regardless whether they destroyed their targets or not. And the Soviets knew this as well as we did.